This is a fresh and fashionable new take on the classic winter cardigan! The deep V-neck is very figure-flattering and the button and pattern below the bust accentuate the waist beautifully. 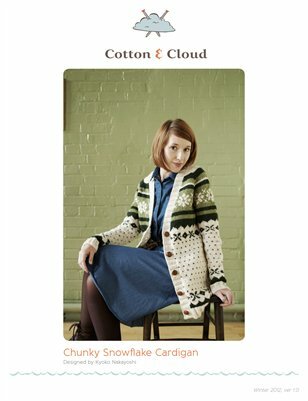 Long and warm, in super-trendy spring colours, this chunky snowflake cardigan is the perfect solution to all your winter/spring wardrobe woes!